The fronts of our cubus pure occasional furniture are covered in delicate coloured glass, which emphasises the high-quality solid wood surfaces. The fine glass edge gives the furniture a delicate look, and the recessed plinth creates a light, floating appearance. Particularly striking is the contrast between the homogenous glass surfaces and the vibrant solid wood in our fascinating Venetian oak front option. This unique, hand-picked wood pattern comes from Venetian oak trunks and is characterised by traces of the tides and of mussels. 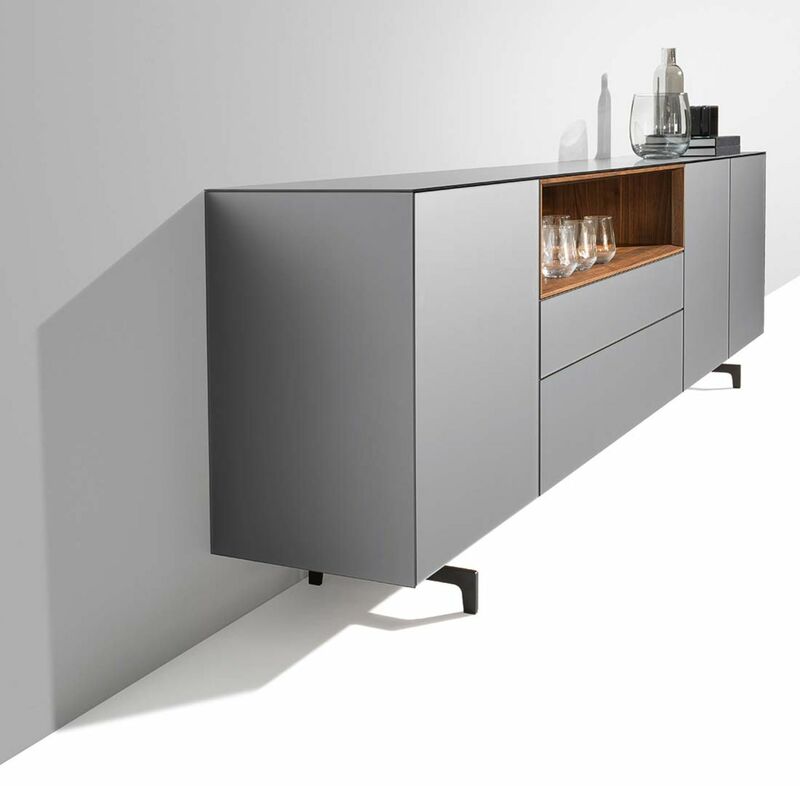 The versatile design elements open up additional planning options for our cubus pure sideboards. With their open design, the solid wood elements perfectly set the stage for displaying the large and small treasures of everyday life. The look of a display cabinet can be accentuated with the optional all-glass doors. The rear wall can set a charming contrast in coloured glass, or remain discreetly in the background as wood. The design elements can be also supplemented with dimmable LED lighting if desired. cubus pure brings colour into your home. 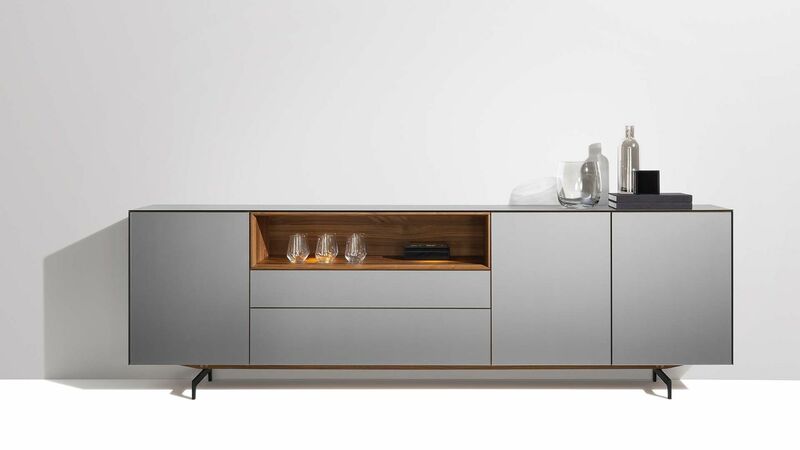 Our cubus pure occasional furniture leave a lot of leeway for your creativity: Glass surfaces in the colour of your choice, different types of wood, various models in numerous heights, widths and depths – furnished with hinged doors, sliding doors and drawers. Thanks to a special mounting system, the coloured glass areas can easily be adjusted and replaced at any time. Thus our technicians have not only found a perfect solution for the constructive challenge of the living material wood, they have also created a piece of furniture that will give you maximal design flexibility.